The Toronto Blue Jays almost have their Opening Day roster set for Thursday's home opener against the Detroit Tigers. Right-handed relief pitcher Elvis Luciano and left-handed reliever Thomas Pannone will both start the season in the bullpen while utility man Richard Urena gets the extra infielder job, according to TSN's Scott Mitchell. Montoyo mentioned Javy Guerra and Bud Norris, who threw a bullpen today, as the candidates. They want to make sure Norris is ready after a short spring. Luciano,19, appeared in 13 minor league games in 2018 and posted a 5-5 record with a 3.90 ERA. The Jays picked him up this off-season from the Kansas City Royals as part of the Rule 5 draft. The Dominican will be the first player born in the 2000s to appear in a major league game. 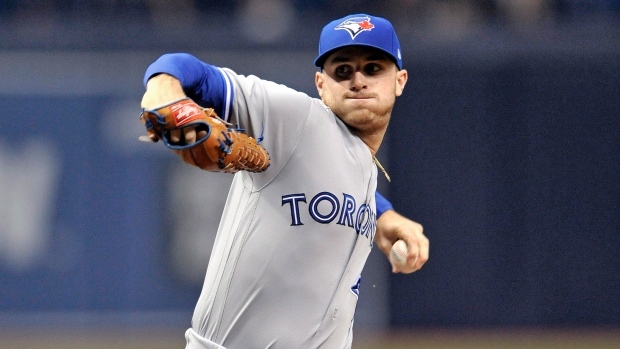 Pannone, 24, pitched in 12 games (six starts) with the Blue Jays last season, posting a 4-1 record with a 4.19 ERA. The moves were announced after Toronto's 2-0 win over the Milwaukee Brewers in Montreal Tuesday night. Javy Guerra and Bud Norris are candidates for the last bullpen spot. Urena, 23, played in 23 games with Toronto last season, hitting .317 with a single home run and five RBIs.